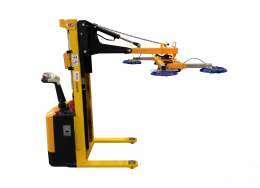 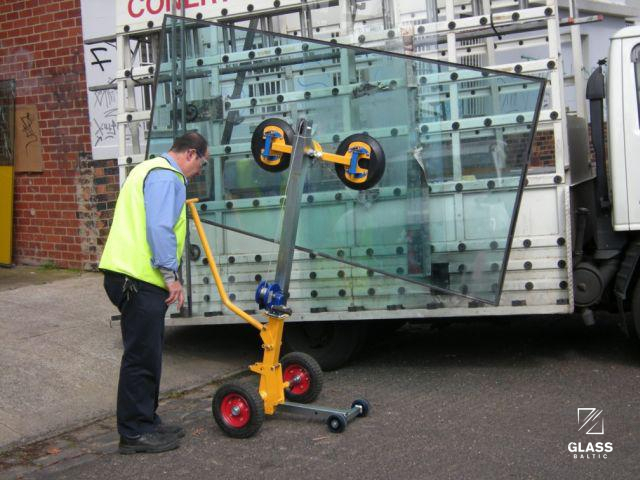 EXPRESS 150 device is an innovative solution designed to allow glaziers to unload, transport and install large plates of glass. 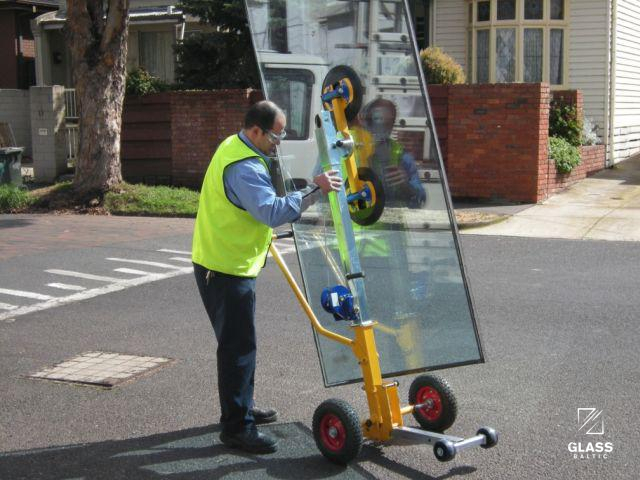 It can also rotate glass measuring up to 3000 mm. 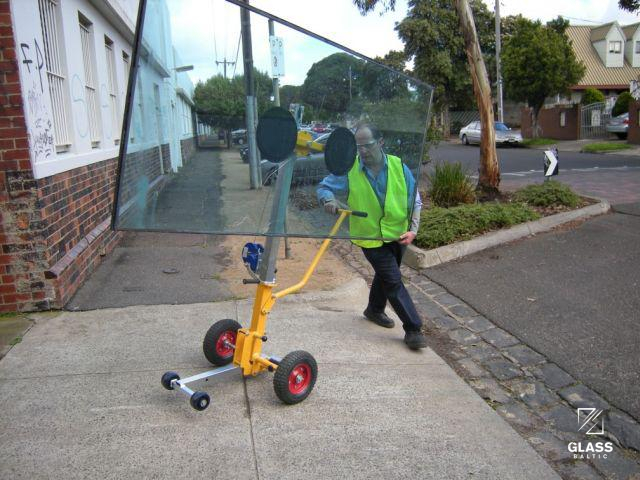 It has adjustments to allow for side and top pocket glazing. 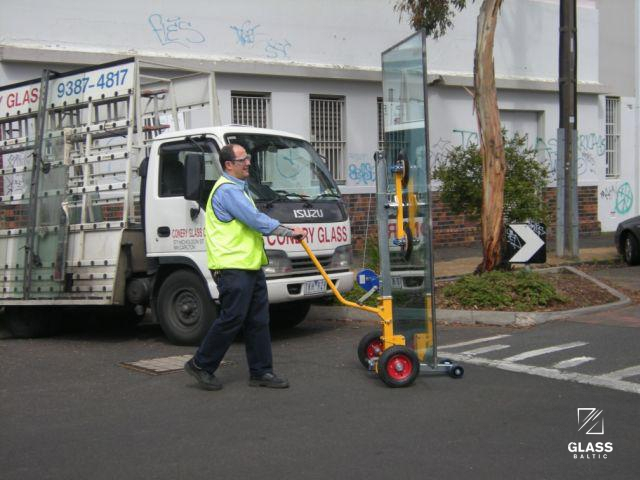 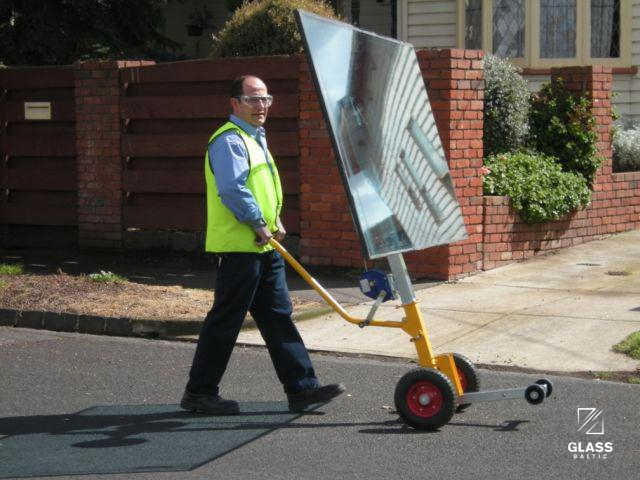 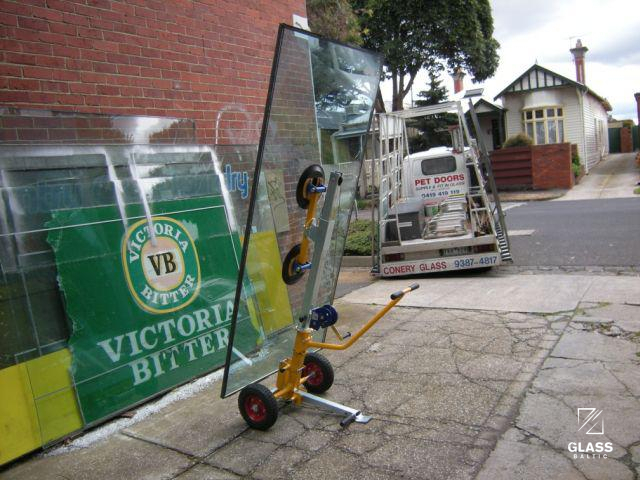 One person can carry a plate of glass weighing up to 80 kg while two people can transport a glass panel weighing up to 150 kg. 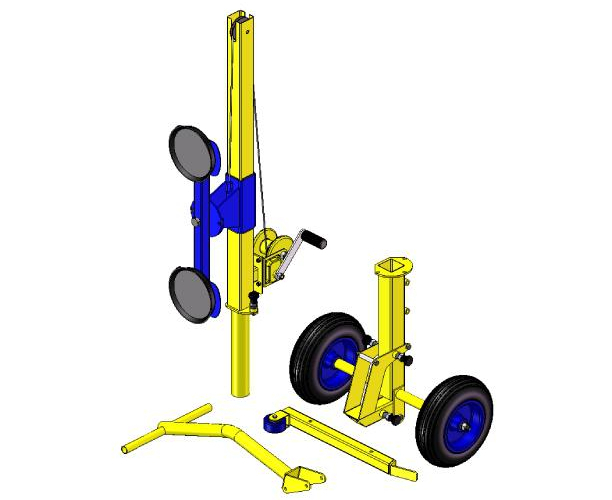 The device is easy to disassemble and reassemble (see last picture) – it weighs only 70 kg. 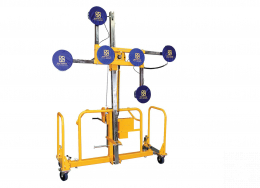 Once assembled the EXPRESS 150 can unload plates off the truck and then transport the plates and windows on site. 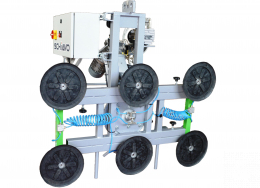 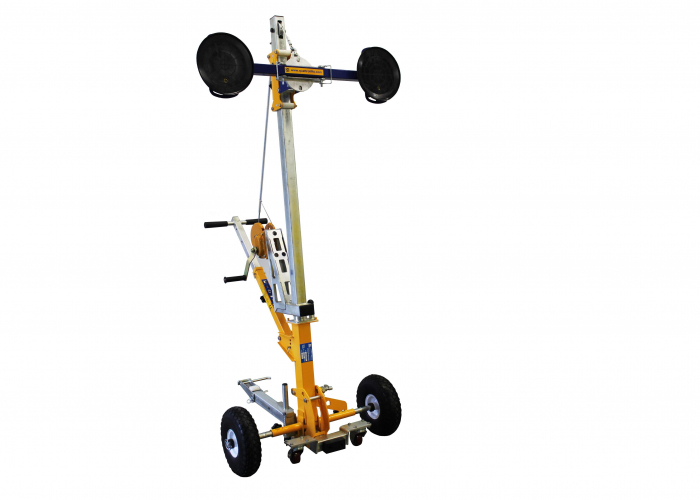 The large 330 mm pneumatic wheels allow for travelling over rough grounds on construction sites. 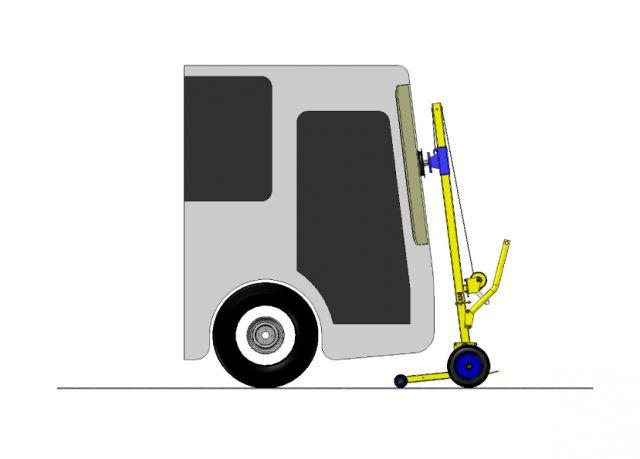 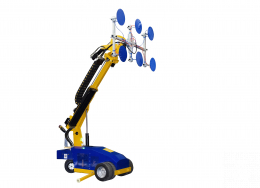 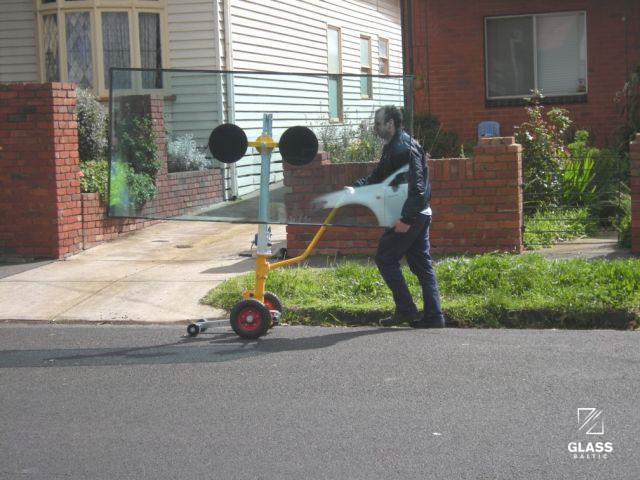 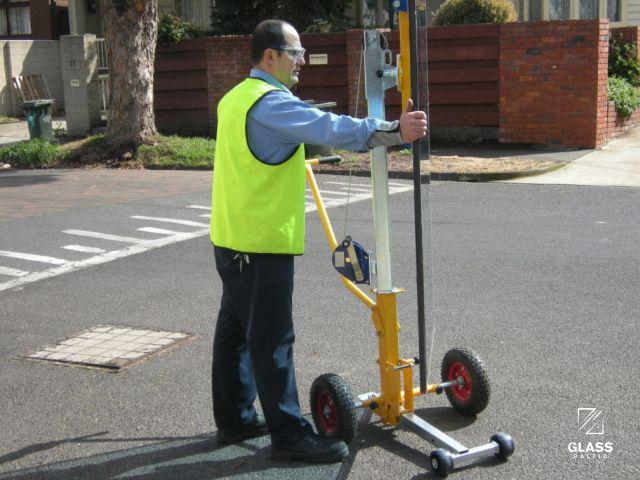 The wheelbase can be adjusted from 54 cm to 80 cm wide allowing for narrow walkways on-site. 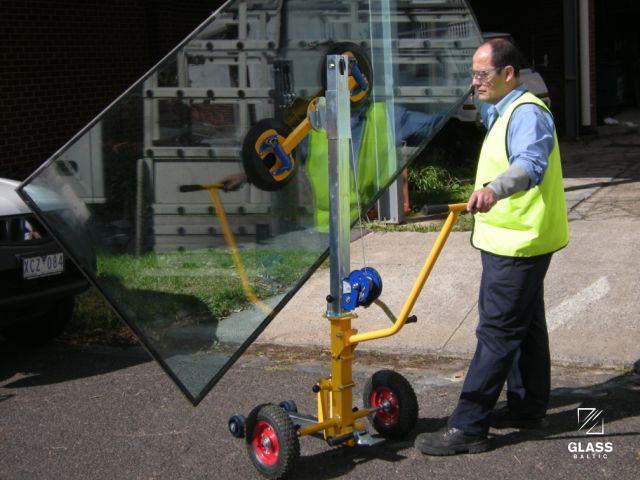 Most important feature of the EXPRESS 150 is allowing the single glass sheet or window to be rotated 360 degrees to let operator move through standard 90 cm wide doorways.